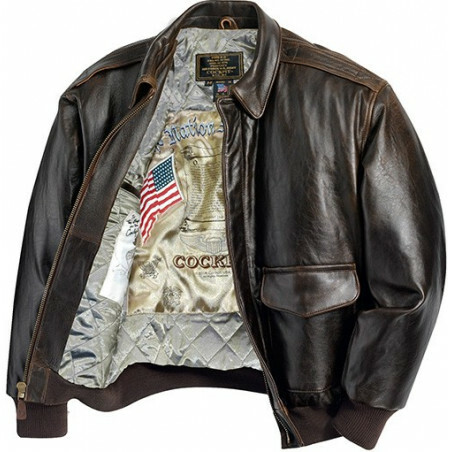 Men's Military Jackets & Coats Cockpit USA There are 15 products. Inspired by the US Navy's elite Fighter Pilots, the 'Jacket Top Gun Navy G-1 Cockpit USA' is worn with pride, and the various patches acknowledge the service history of the Navys best pilots. Cockpit has created it's own exclusive version that can make you part of that history. A best seller - the classic A-2 Flight Jacket in specially treated antique Lambskin. The antiqued lambskin leather will distress over time and develop a weathered, battle-worn look. A group of the Tuskegee Airmen from the New York City area wanted Cockpit USA to design and execute a unique iconic flight jacket with insignia and decorative motifs representing the different units that fought, and the combat aircraft they flew during WWII. When the B-15 replaced the leather A-2 for a period during WWll, many pilots objected until they realized the virtues of this jacket such as the warmth and durability. In Olive. Cockpit took the warm, plush sheepskin B-3 and added a detachable shearling lined, real coyote fur trimmed hood for the ultimate in cold weather protection.As worn, the leatherized sheepskin panels will distress to develop a suede finish, which will provide that weathered, battle worn look over time. Worn by the few Army Air Corps fighter pilots who managed to take flight on December 7th 1941, this jacket is testament to the bravery shown on that unforgettable day when the Japanese attacked Pearl Harbor. If you are looking for the legendary jackets, shop for Men's Jackets by American brand Cockpit USA. 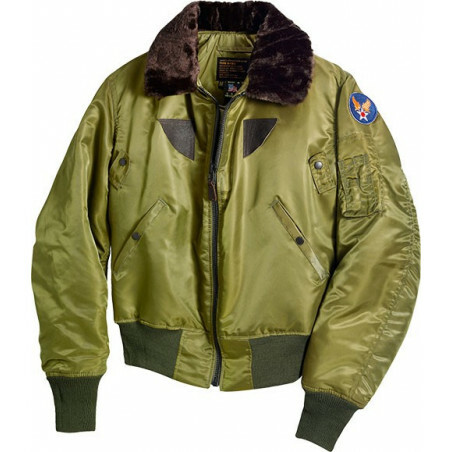 Here is everything you need: Cockpit USA A-2 Flight Jackets, Cockpit USA G-1 Bomber Jackets, Cockpit USA B-3 & Sheepskin Jackets, Cockpit USA Bomber Jackets & Cockpit USA Field Jackets. 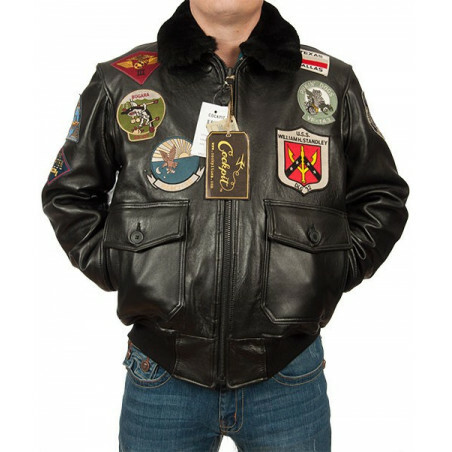 If you love leather, then a wide selection of motorcycle jackets is designed surely for you. Find the men’s outerwear for any season and try the newest apparels from the well-known brand. Look for the necessary pockets or button fronts. Find your favorite style. Shop for legendary Men’s Clothing at the clothingmonster.com now and get the best!